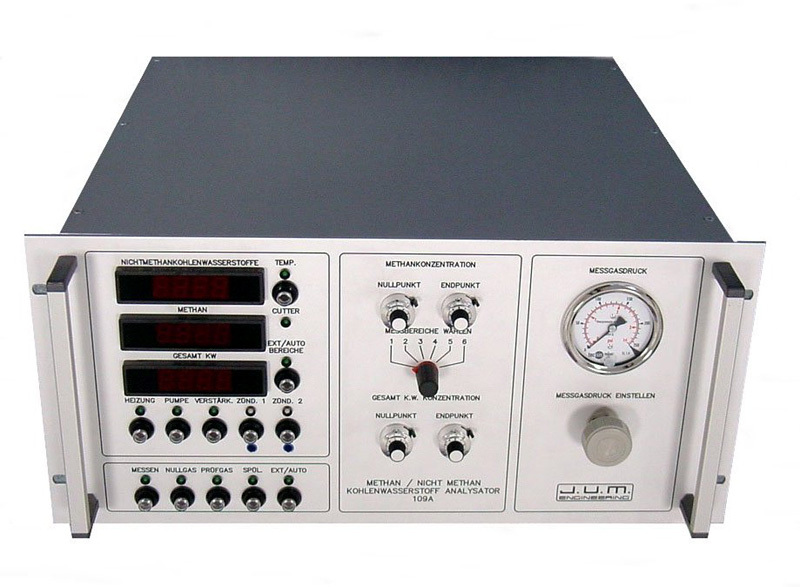 The Model 109A is a Heated Non Methane Hydrocarbon FID Analyzer thousandfold used throughout industrial environmental and stack emissions applications as well in ambient air and indoor air concentration measurements. Manufactured since 1989 this analyzer this heated dual FID analyzer continuously and simultaneously measures the Methane, Total Hydrocarbon and Non Methane Hydrocarbon concentration a gaseous sample in air and other gases like industrial vents, internal combustion engines, stack gases or any other emission containing source. The 109A fully complies with EN 25140:2010. Also complies with US-EPA Method 25A and Method 503.
is a 100% identical version at a 20% lower cost due to the use of a disposable sample filter in the heated oven. With this exception the 109/OVE is a 100% identical analyzer.